The Mini Bernedoodle - A Giant And Miniature Pup Combined! You are here: Home / Breeds / Mix / The Mini Bernedoodle – A Giant And Miniature Pup Combined! The Mini Bernedoodle – A Giant And Miniature Pup Combined! The mini Bernedoodle is a unique mix of the Bernese Mountain Dog and the Miniature Poodle. Generally this mix is intelligent, strong and social. Although mixing two quite different dogs can lead to some really unpredictable characteristics. The only way to really estimate what your mini Bernedoodle will be like is to look at its parents. Find out all about this special dog here. We’ve updated the information for 2019. This mini Bernedoodle page is a hub of information about the mini Bernedoodle crossbreed. We have answers to all your most frequently asked questions. And lots of helpful links to further resources. Whether you’ve had your heart set on a mini Bernedoodle for a while, or you’re here because you just looked them up for the first time, you’re bound to have lots of questions. How big do mini Bernedoodles get? How much do mini Bernedoodles weigh? What is a micro Bernedoodle? We’ve got the answers to these questions and valuable information on many more topics coming up. Weight: Anywhere between 20 and 100 pounds! Since this hybrid pup doesn’t qualify for any pedigree breed registry, we don’t know exactly how many are born each year or are already settled into homes. But, it’s plain to see that interest in this cuddly combination is rising fast! 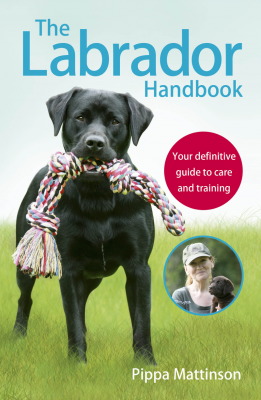 Are crossbreed dogs good pets? Do mini Bernedoodle make good family pets? We’ve got a lot to cover, let’s get started! The miniature Bernedoodle is a mix between a Bernese Mountain Dog and (you guessed it) a Miniature Poodle. Miniature Bernedoodles are usually first generation hybrids. That means that one parent is a pedigree Bernese Mountain Dog and the other is a pedigree Miniature Poodle. While the huge Bernese Mountain Dog and the dainty Poodle seem like an odd mix, the popularity of each breed suggests it was only a matter of time before they were intentionally crossbred. The Poodle, including all size variants (Toy, Miniature, and Standard), was the AKC’s seventh most popular dog breed in 2018. While the Bernese Mountain Dog seems to lag behind as the AKC’s 22nd most popular breed in 2018, it’s within the top 15 percent of the AKC’s 193 recognized breeds. And it’s been gaining popularity rapidly. The Bernese Mountain Dog rose from 32nd to 22nd in just four years! Like the Bernese Mountain Dog, mixed breeds are also gaining in popularity. But that doesn’t mean these so-called “designer dogs” don’t have their critics. More and more dog owners are turning away from pedigree dogs in favor of designer crossbreeds or the humble mutt. But does it matter which you choose? Pedigree dog fans love the reliability of purebred dogs. When you choose a pedigree pup, you know what to expect from their appearance and their temperament. Crossbreed dogs can inherit traits from both of their parents in any combination, for better or for worse. A mini Bernedoodle might be a Poodle in a Bernese Mountain Dog’s body or the other way round. They might get a mix of behavioral traits from both parents. There can be a lot of variation within a litter and from litter to litter by the same parents. This is exciting for some people but undesirable for others. You can read more about choosing between purebred and crossbred dogs here. Most modern pedigree dogs were developed from just a few dogs. Even now, maintaining a pedigree breeding line means deliberately limiting the gene pool of future generations. This can cause unwanted genetic traits, such as hereditary illnesses, to become fixed in large swathes of the population. Cross breeding expands a puppy’s genetic inheritance, which can make them healthier. Before we apply this science to the mini Bernedoodle, let’s look at some fun facts about him first. Hundreds of years before they mated, Bernese Mountain Dogs and Poodles were European neighbors. Poodles started their canine career as duck hunters in 16th century Germany. While Bernese Mountain Dogs were developed as farm dogs in Switzerland at the turn of the 20th century. Today, their hybrid offspring enjoy the most popularity in the USA and Canada. Owing to their difference in size, the Bernese Mountain Dog is always the mother to a litter of mini Bernedoodle puppies. That’s because it would be dangerous for a female Miniature Poodle to carry such big pups. Since the mini Bernedoodle has gained in popularity, we’ve also begun to see a rise in the popularity of the micro Bernedoodle. The micro Bernedoodle is usually a second generation hybrid between a mini Bernedoodle and a Toy Poodle. The mighty Bernese Mountain Dog has a distinctive, thick tricolor coat. The lithe Poodle’s dense and curly coat comes in a kaleidoscope of colors. What happens when these different coats collide? Mini Bernedoodle puppies come in a wide variety of color combinations. Their coats are often thick and vary widely in degree of curliness. There is no one way to describe the appearance of the mini Bernedoodle because there is such wide variation among the crossbreed! Miniature Poodles must be between 10 and 15 inches tall. Any Poodle taller than that is a Standard Poodle and any shorter are a Toy Poodle. Bernese Mountain Dogs, on the other hand, are much taller. Males measure between 25 and 28 inches tall. Females measure between 23 and 26 inches. Most mini Bernedoodles fall close to the middle of that range, around 18 to 22 inches. Some outliers, smaller and larger, can be expected. While a mini Bernedoodle that falls at either extreme would be rather rare. Miniature Poodles typically weigh between 15 and 17 pounds. Male Bernese Mountain Dogs can weigh from 85 to 110 pounds, while females weigh between 79 and 110 pounds. A mini Bernedoodle could grow to anywhere in that range. Most will end up near the middle, between 25 and 50 pounds. Females may be smaller than males. 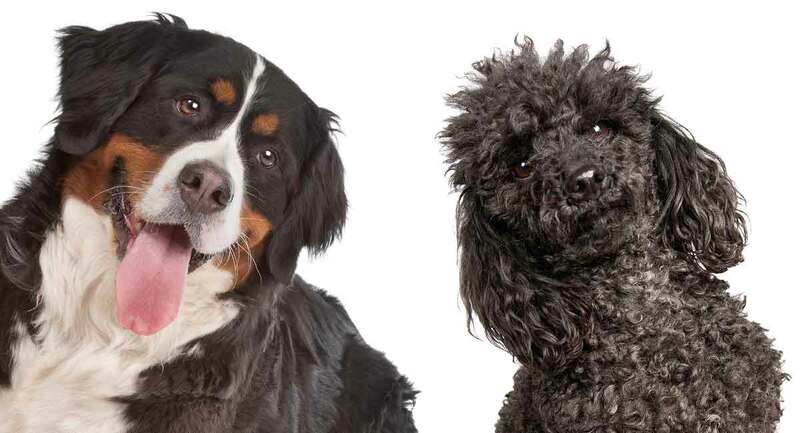 Despite their physical differences, the Bernese Mountain Dog and Miniature Poodle have similar temperaments, making mini Bernedoodles’ personalities reasonably predictable. Both dogs are strong and smart—a proud legacy of their working roots. Bernese Mountain Dogs love their family, but they are sometimes shy of new people. Miniature Poodles are athletic and very quick learners. They also love their people and are keen to please. But, they are also inclined to treat strangers in a standoffish way. Miniature Bernedoodles are loyal and intelligent like their parents. They’re likely to be devoted and calm around their immediate family. It’s not uncommon for mini Bernedoodles to be a bit shy when meeting new people, but they are rarely aggressive. Early socialization is important to prevent the shyness just mentioned. Your mini Bernedoodle needs to have as many positive experiences as possible with people, places and things while they are a puppy. This includes things like car trips and being around the washing machine while it’s running. If your young mini Bernedoodle learns that staying calm around strangers is rewarded, they will remain relaxed and confident as adults. In your first weeks together you’ll also want to get a handle on potty training and crate training, if you plan to use a crate. As your dog gets older, he’ll be ready for more trips and adventures with you. Your full-grown mini Bernedoodle will need at least an hour of exercise every day. Since his parents were both bred to work closely alongside humans, your mini Bernedoodle will also have a greater sense of well being if he has jobs to do. 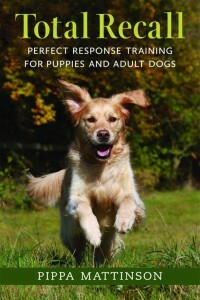 Look for working dog classes and trials in your area to fulfill this need. When your mini Bernedoodle is exercising, bear in mind their long dense coat can cause them to overheat. It kept their ancestors warm up in the mountains and in cold water, but it can be too much in warmer locations. In hot weather, find activities to do in the shade. The good news is, once your mini Bernedoodle has exercised and shown off their intelligence, they’re generally happy to relax at home. Healthy puppies come from healthy parents. So, the surefire way to get a healthy puppy is to insist on getting them from a breeder who tests the health of their breeding dogs. Most health problems for mini Bernedoodles are likely to be the health problem of their parents. Let’s take a look at the most common ailments of Bernese Mountain Dogs and Miniature Poodles. Joint dysplasia is abnormal bone development of a joint. It can lead to painful and crippling arthritis. Approximately one in eight Miniature Poodles and Bernese Mountain Dogs have hip dysplasia, and a further one in five Berners also have elbow dysplasia. Since hip and elbow dysplasia are hereditary conditions, both breeds should have their joints assessed by a vet before they are used for breeding. Click here for our complete guide to understanding the hip scores they receive from that assessment. In Bernese Mountain Dogs with elbow dysplasia, the severity of the condition isn’t correlated to the risk of passing it on. So no Bernese Mountain dog with any degree of elbow dysplasia should ever be bred. Luxating patellas are knees that slip out of their sockets. Around four percent of Miniature Poodles and three percent of Berners are affected. This hereditary condition is caused by several faulty genes. If both a Miniature Poodle and a Bernese Mountain Dog have luxating patellas, their puppies are more likely to inherit the condition too. PRA is a hereditary degenerative eye disease that eventually leads to blindness. It is relatively uncommon among Bernese Mountain Dogs, but between a quarter and a third of Miniature Poodles are carriers of the disease. Luckily there is a DNA test to identify carriers, and a good breeder can demonstrate that they haven’t mated two carrier dogs together. Both breeds are vulnerable to further eye diseases including cataracts and eyelashes that turn inwards (distichiasis). Responsible breeders have their breeding dogs checked by a specialist veterinary ophthalmologist who issues a certificate of good eye health. Bernese Mountain Dogs and Poodles are both vulnerable to gastric dilatation volvulus, commonly known as bloat. When dogs get bloat, their stomach twists back on itself. This is a serious and life-threatening condition that progresses rapidly. The only course of action to save their life is immediate emergency surgery. Bloat is often a result of gulping food too fast. One of the easiest ways to protect your miniature Bernedoodle is by using a slow feeder bowl. Another is to feed two smaller meals rather than just one large meal per day. The Canine Health Information Center, which promotes healthy dog breeding to reduce genetic disease, also recommends that Bernese Mountain Dogs are screened for heart disease before they produce offspring. How Long do Mini Bernedoodles Live? Bernese Mountain Dogs are a notoriously short-lived breed. Only 85% make it to their fifth birthday, and only 30% reach the age of ten. Their average lifespan is only a little over seven years. Poodles live longer. Ten years is the minimum and some reach 18. The average Miniature Poodle enjoys 12-15 years of life. A mini Bernedoodle will probably live between 7 and 15 years, perhaps averaging 10 or 11. Whether you see this is as extending the lifespan of a Bernese Mountain Dog or compromising the lifespan of a Miniature Poodle is a personal matter. Do Mini Bernedoodles Make Good Family Pets? Bernese Mountain Dogs and Miniature Poodles are both people-loving dogs. They share a reputation for being placid and patient with children. However, some Miniature Poodles are less comfortable with the attention of tiny hands and eyes. If you have young children, look for a litter of mini Bernedoodle puppies born in a family home and experienced with young children from an early age. Best of all, try to meet their dad as well as their mom, and make sure that both parents interact calmly and happily with children. Like their parents, mini Bernedoodles don’t like to be left alone for long periods. A household where there’s usually someone at home for most of the day suits them best. One of the primary reasons Poodle mixes are so popular is the Poodle’s coat. The Poodle has a dense, curly, non-shedding coat that needs to be trimmed every few weeks to keep it short or brushed daily to prevent matting. Bernese Mountain dogs, on the other hand, shed their wavy double coat heavily, especially in summer and fall. Miniature Bernedoodles have a coat that falls somewhere in between, varying from wavy to curly. Only time will tell whether your mini Bernedoodle sheds a little, a lot or not at all. You’ll also need to wait to find out how often they need their coat trimmed as an adult. This varies even between dogs in the same litter, so don’t let a breeder’s experience with previous litters influence you. There’s a persistent myth that the Poodle’s non-shedding coat makes them hypoallergenic. Unfortunately, proteins in dander and saliva, not pet hair, are what cause allergic reactions, so no dog breed is truly hypoallergenic. However, it is also true that some people with allergies do manage to find canine pals they can live with harmoniously. It’s a special and unpredictable chemistry that immunologists are only starting to understand. If you have allergies and you want to find out if a mini Bernedoodle triggers them, ask to visit a breeder and spend some time with their dogs. Adopting a dog is a great opportunity to give an unlucky pup a second start in life. However, since mini Bernedoodles are highly sought after at the moment and command impressive prices, it’s unusual for them to then end up in rescue shelters. That’s not to say it doesn’t happen. Because of the myth that miniature Bernedoodles are hypoallergenic, they are sometimes forfeited or abandoned when their owner has an allergic reaction. Talk to your local shelter or rescue about the kind of dog you’re hoping to find and why. Be patient and prepared to act quickly if the right dog comes in. Initiatives like the Shelter Pet Project endorsed by the Humane Society can help you find mini Bernedoodles looking for forever homes near you. The alternative to rescuing a mini Bernedoodle is purchasing a puppy. 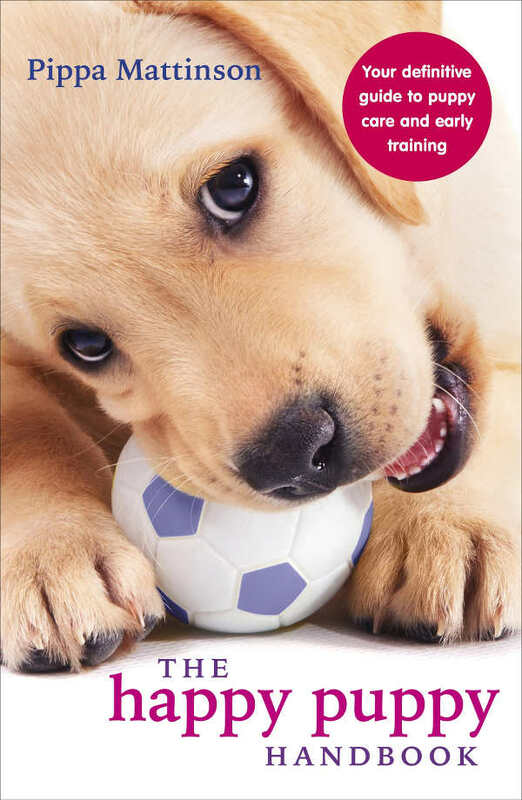 Our Puppy Search Guide will help you every step of the way. There are mini Bernedoodle breeders across the country. Many have sophisticated and informative websites. These are modern dogs being bred and sold in a thoroughly modern way! Mini Bernedoodle puppies are in high demand and often sold for high prices. Unfortunately, that means that unscrupulous people with little interest in animal welfare also try to cash in on their popularity. These people run puppy mills, treating female dogs as breeding machines and turning out sickly puppies. Our article on How To Avoid A Puppy Mill will help you recognize them and steer clear. Finding a responsible breeder is an important first step in finding your mini Bernedoodle puppy. Responsible breeders will answer all of your questions honestly, including any about weaknesses or health problems found in the crossbreed. They’ll also be happy to discuss what they’ve done to avoid passing those on to the next generation. When you meet a breeder, ask what health checks were carried out on the parents before they mated. A good breeder will have documents to confirm the results of every health check. You’ll also want to see where the puppy and its parents live and meet them. Observe how they interact with the breeder. They should be comfortable and happy. The breeder will probably also have questions for you. 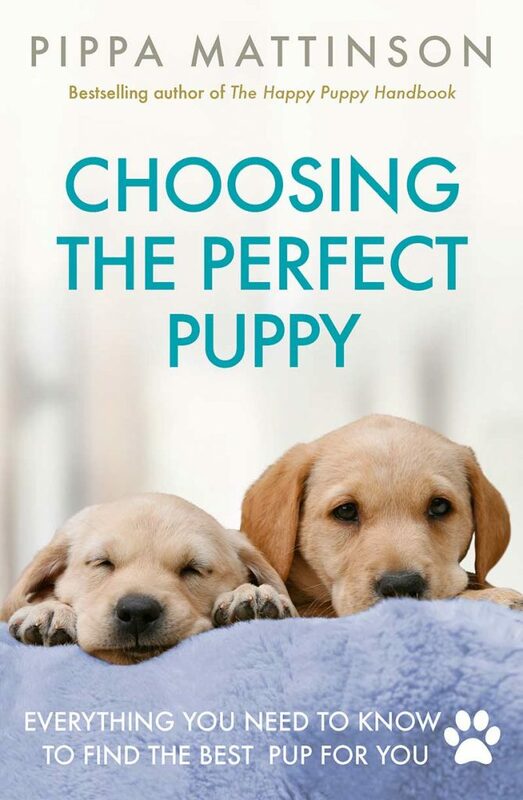 Responsible breeders want to know their puppies are going to good homes. This article will help you find a healthy puppy. Still undecided about a mini Bernedoodle? To help you decide, here’s a summary of what we’ve covered so far. Cons: This dog might not live long. The Bernese Mountain Dog, while easy to love, is not blessed with great health or a long life expectancy. If your mini Bernedoodle takes after their Berne parent, you could have less than a decade together. And that time could bring some hefty vet bills. This is even more heartbreaking if your shy mini Bernedoodle takes a long time to find her confidence. After an extended period of socialization and patient training, your dog has less time left to enjoy it. If you’re thinking of this dog because someone in your household has allergies, we’ve also discussed that Poodle-mixes are not hypoallergenic after all. Pros: They are smart, loving and family-centric. This hybrid pup has his roots in two honorable working breeds. He’s going to enjoy his role in your family and devote himself to keeping you company. If you’ve been considering a Bernese Mountain Dog or another giant breed before now, then choosing a crossbreed instead is likely to give you more years together. What other breeds might you also consider? If a miniature Bernedoodle is on your canine shortlist, then maybe some of these other breeds should be too. Have you found another alternative you think should be on our list? Tell us in the comments box! Evans, K., Adams, J. “Mortality and morbidity due to gastric dilatation-volvulus syndrome in pedigree dogs in the UK,” Journal of Small Animal Practice, 2010. Gelatt, K. & Mackay, E. “Prevalence of primary breed‐related cataracts in the dog in North America,” Veterinary Ophthalmology, 2005. Gelatt, K. & Mackay, E. “Prevalence of the breed‐related glaucomas in purebred dogs in North America,” Veterinary Ophthalmology, 2004. Harasen, Greg. “Patellar luxation,” The Canadian Veterinary Journal, 2006. Malm, S. et al. “Genetic variation and genetic trends in hip and elbow dysplasia in Swedish Rottweiler and Bernese Mountain Dog,” Journal of Animal Breeding and Genetics, 2008. Zeng, R. et al. “Breed Distribution of SOD1 Alleles Previously Associated with Canine Degenerative Myelopathy,” Journal of Veterinary Internal Medicine, 2014. Wow. I am severely allergic to most dogs and we have a golden doodle that I’m not allergic to at all. It’s interesting that you say poodle mixes aren’t hypoallergenic. | would be concened with a female mini giving birth to a very large pup. Its outrageous what people do to animals just to make money. I cant even imagine how unkind that is to the poor little female. Maybe you should educate yourself prior to making assumptions! The miniature poodle would be the Sire while the Bernese is the Dam! Hi there I have also been looking for a breeder in the UK. Did you find one? I loved your article and I’m trying to find a breeder in the UK. I was wondering if you knew of any please?